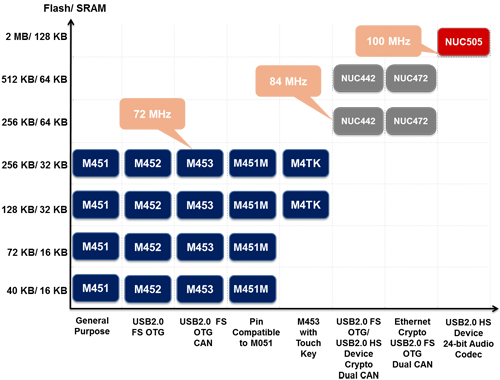 Microcontrollers: ARM Cortex M0 plus ARM 7/ ARM 9 with others in development plus 8051 families. We are a leader in microcontrollers with our new fast growing portfolio of ARM Cortex microcontrollers plus a family of 8051 products. These families currently include a wide range of ARM controllers including Cortex M0, ARM 7/ ARM 9 with more to come. Nuvoton's Nu-Link Debug Adapter is an USB debugger and programmer based on the SWD (Serial Wire Debug) signal interface and can be applied to the development of Nuvoton NuMicro Family chips. There are three types of the Nu-Link Debug Adapter in accordance with different specifications, including Nu-Link-Pro, Nu-Link, and Nu-Link-Me. The three types are called "Nu-Link Adapter" in general if no specific conditions are mentioned. The Nu-Link Adapter supports ICP (In-Circuit Programming) based on the SWD (Serial Wire Debug) signal interface. 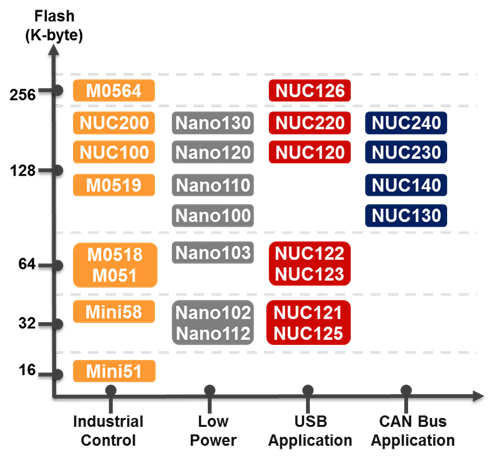 The user can employ the NuMicro ICP Programming Tool to update chip firmware for mass production. The Nu-Link Adapter also supports the third-party development tools, such as Keil RVMDK, IAR EWARM, and CooCox CoIDE.